Terry Magnuson, PhD, Sarah Graham Kenan Professor and founding chair of the UNC Department of Genetics, became UNC’s vice chancellor for research on July 1, 2016. In this role, he leads a campus-wide research program that attracted nearly $1 billion in contract and grant funding in fiscal 2014; connects academic units across campus with university priorities; and manages research support offices as well as 14 centers and institutes. Magnuson, a geneticist who studies chromatin and gene expression in various diseases, joined the UNC School of Medicine in 2000 to create its $245 million-backed genetics and genomics program. He also directed the pan-campus Carolina Center for Genome Sciences, developed the Cancer Genetics Program within the Lineberger Comprehensive Cancer Center, and in 2010 was named vice dean for research in the School of Medicine. He is a member of both the American Academy of Arts and Sciences and the National Academy of Medicine. In 2014, he was appointed to the National Institutes of Health Council of Councils, an exclusive group of the top minds in the nation charged with guiding research projects that transcend the National Institute of Health’s centers and institutes. 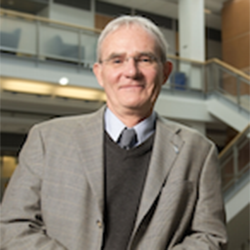 He’s also a founding member of the International Mammalian Genome Society and has served on the board of directors for both the Society for Developmental Biology and the Genetics Society of America.